Harold "Indian Joe" Bauer, CO of VMF-212 was possibly the finest fighter pilot in the Marine Corps. An Annapolis graduate and a football player, he had spent seven years in Marine aviation before 1942. His real name was "Harold William"; he had picked up the nickname "Indian Joe" at the US Naval Academy because of his height, high cheekbones, and dark features. 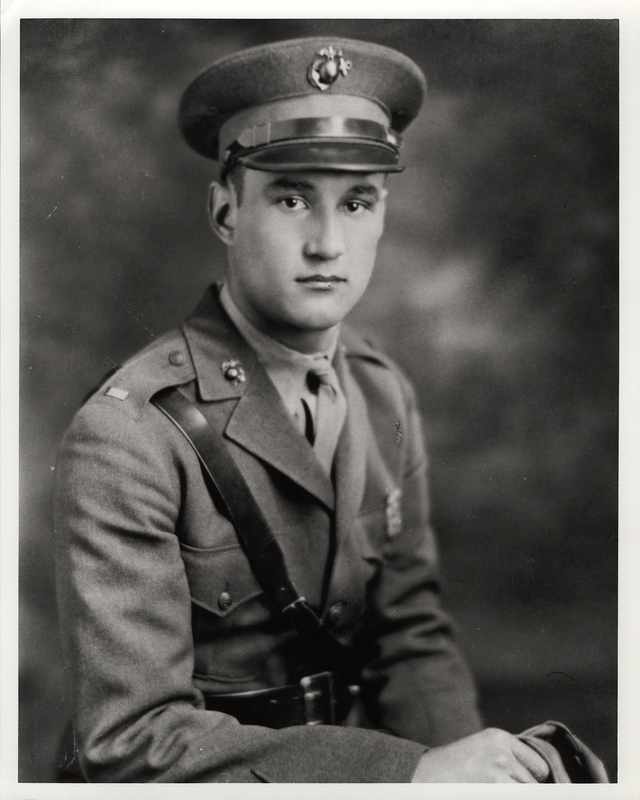 As CO of VMF-212, he trained his men well, for one month at Tontouta on New Caledonia and at Efate. His pilots called him "The Coach" because he ran the squadron as a team, and at age thirty-four was ten years older than most of them. They trained at Efate during the summer of 1942, which at that time was very much on the front line. While a token Australian force was posted on Guadalcanal, a Japanese strike at any time was considered possible and a radar set was installed on an Efate mountain top. Guadalcanal was one the few places in the region able to support a bomber-capable airstrip, so the Japs occupied it in July and began building one. But on August 7, the U.S. Marines landed, took over the airstrip, and drove the few Japanese toops into the jungle. By the 20th, Marine air units flew in to support them, but most of Bauer's VMF-212 continued training on Efate. Eight pilots from the squadron, notably Captain Everton and Lieutenant Conger, served with VMF-223 in August and September. His best day came on October 3, 1942 when leading a division in Carl's flight, "The Coach" downed 4 Zeros with four quick bursts, but jamming his guns in the process. Then he noticed a Zero going after an American pilot in a parachute, and with only one gun working, an infuriated Bauer dove after the Zero, shooting it down, and then returning to downed pilot, marking the spot by flying circles over it. A destroyer picked up the Marine pilot. On that day, "The Coach" was the last to land, and was obviously excited about his victories, having left his high-altitude supercharger on. (Officially, his credits for the day were four confirmed and one probable.) In any event, he earned custody of a captured Japanese battle flag that the Marine Raiders had given to the airmen. Bauer immediately directed that the flag be sent to the Marine trophy room in Quantico, Virginia. In mid-October, the Japanese made one of their major efforts to regain Guadalcanal, shelling it with battleships for three nights in a row. By the morning of the 16th, the Marines of Cactus had only 12(?) Wildcats operational, and little in the way of gasoline, ammunition, or other supplies. An old destroyer, the USS McFarland had come in with supplies, and was off-loading aviation fuel onto a barge. At this juncture, nine Val dive bombers came in, bombing the barge, and threatening the McFarland. 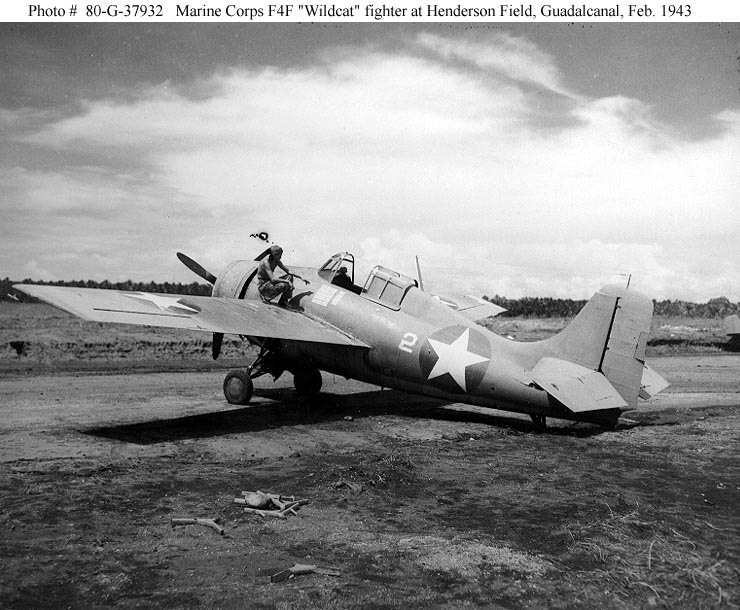 Just then Bauer was landing VMF-212 at the Fighter Strip after a long flight from Espiritu Santo. As he circled the field, watching the other 18 planes of his squadron land, he saw the smokes and flames from the stricken barge, as well as the diving Vals. Despite nearly empty gas tanks, he set out alone after the eight dive bombers. He caught them at 200 feet, dove into the Vals and flamed three (four?) in succession. This was to win him the Medal of Honor. Throughout the rest of October, Bauer stayed on the ground, directing all Cactus fighter operations, which was his real responsibility, not flying combat sorties. He kept after his men to seek out Zeros, and not to run from combat. His leadership and inspirational qualities were such that his fliers would rather face the Japanese fighters than the Coach's wrath. It's notable that Colonel Bauer only left his ground duties for four missions, and downed eleven planes on those few occasions. Starting on November 12, the Japanese made a major effort to reinforce Guadalcanal. Army, Navy, and Marine fliers as well as surface ships were engaged over the new few days, scoring heavily but taking losses as well. On the 13th, American bombers and torpedo planes sank the battleship Hiei. 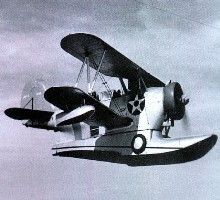 'Cactus' was shelled that night, and by dawn of the 14th, there were only 14 Wildcats and 10 Army fighters operational. Lt. Col. Bauer, now with Fighter Command HQ, went up, along with Duke Davis, Joe Foss, and Jim Flatley. A very focused account of the difficult and heroic early months of the air campaign for Guadalcanal, from August through mid-November, 1942. Describes the important contributions made by Marine fighter pilots, Marine dive bombers, Navy pilots, and (to a lesser extent) Army Air Force P-39 pilots.